I first heard the word ‘Mackem’ when I was 11 years old (1981 or thereabouts) while waiting for a woodwork lesson. Never heard ‘Mackem’ until around 80-81, didn’t even know what it meant when I was first asked if I was one. I first heard the term around 1980 from some lad in a bar in Newcastle. The word Mackem was around in spring 1977, and I suspect it had just cropped up then. I remember it well. I was called it by a Mag from Wallsend in The Sombrero Nightclub, in Chester-le-Street. In 1971 I worked as ‘van boy’ for Sykes pop. I was delivering in Jarrow and this young lass says to her ma ‘Doesn’t he talk funny mam’? Her mam replies ‘that’s because he’s a Mackem and Tackem’. I’ve heard that people from Sunderland are called Mackems due to ship building. For example, ‘we’ll mak em and you tak em’. On Tyneside, Sunderland is often called the place where they “mak ’em and tak ’em.” Just how this phrase originated I do not know but one explanation is that ships are both built and repaired on the Wear. The winter edition of Wall’s house magazine contains an article on Sunderland under the title “Mak ’ems and Tak ’ems,” and the author says that Wearsiders are given that name because of the distinctive way they have of slurring some of their words. The author of this piece acknowledges Sunderland’s association with the phrase, but admits to uncertainty about whether it has anything to do with shipbuilding. What we can infer from this evidence is that ‘Mak ’ems and Tack ’ems’ was being used to label a group of people during the 1950s by north easterners outside Wearside, and if we accept the online recollections of the ‘van boy’ as accurate, it was still in circulation in the early 1970s. We can speculate that in casual speech the phrase would often have been clipped to ‘Mak ’em’ and when written down its preferred form would have been Mackem (although there are plenty of other spellings e.g. Mackam, Makem, Mackum, and so on). During the 1970s, the shortened form seems to have taken off, as revealed in the online recollections quoted above. But why ‘Mack ’em’ ([‘makəm]) and not ‘Make ’em’? There is dialectological evidence to suggest that the short vowel in the words make and take is a traditional Sunderland/Durham pronunciation, and is found less frequently in other parts of the region (see The Survey of English Dialects). Mackem, like Yam-Yam (someone from the Black Country) and Dee-Dah (someone from Sheffield) is a label which imitates some aspect of the speech of the people to whom it is applied. 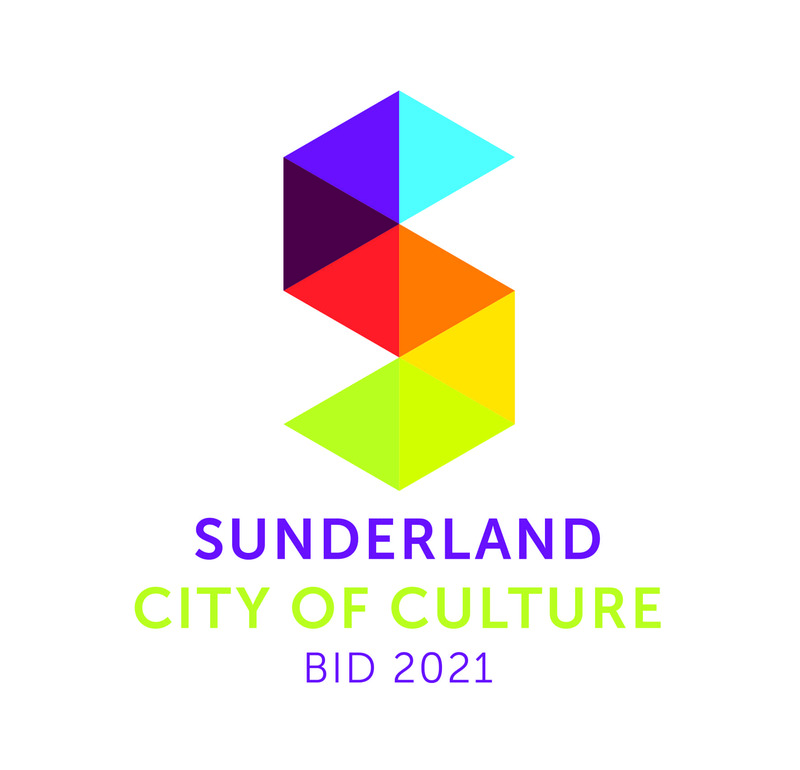 The Sunderland Echo article and the van boy’s memories show that between the 1950s and the early 1970s, the ‘unusual’ pronunciations of ‘make’ and ‘take’ become associated with people from Sunderland. It would seem then, that the word Mackem did not come from within the community, but was imposed from outside. What is the evidence for this claim? Outsiders are more likely to notice and comment upon what they regard as idiosyncratic speech than insiders. People’s first encounters with the word in the 1970s and 80s seem to have been from the mouths of people from outside Sunderland. But, of course, Mackem is now a well-established badge of identity, worn with pride by many (though not all) citizens of the city. It is an example of the way a word which starts off being used disparagingly or even abusively is adopted as a marker of resistance and solidarity. The earliest OED citation is in the context of football and it seems that while football was not the origin of the term, intra-regional football rivalries have provided fertile soil for its growth. The 1970s was a period which saw a dramatic rise in football related violence, leading to increasing animosities between supporters of rival clubs. If Mackem emerges as a term of abuse, then an important context for its circulation is within the rituals of football rivalry. It is noteworthy that the OED’s earliest written evidence for Mackem comes from the newsletter of the London branch of the Newcastle United supporters’ club (1980-81). The earliest written evidence the OED has for its use amongst Sunderland A.F.C. supporters is from 1989, suggesting that by then the term had been fully ‘reclaimed’. Today, Mackem is well-known within the region, and recognition is growing beyond the North East. Local businesses with Mackem in their name include a pizza restaurant, a removals company and a driving school. The word appears regularly in the headlines of national newspapers, and not just in the context of football: for example, “Why aye, wor Nic’s a Mackem” (from a Scottish Sunday Express story about the SNP leader’s family connections with Ryhope). The commodification of Mackem is also well under way. 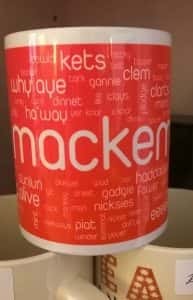 For many years it has been possible to buy clothes, mugs, and greetings cards emblazoned with the word Geordie and using Geordie dialect; it is now possible to purchase goods which deploy Mackem in a similar way.